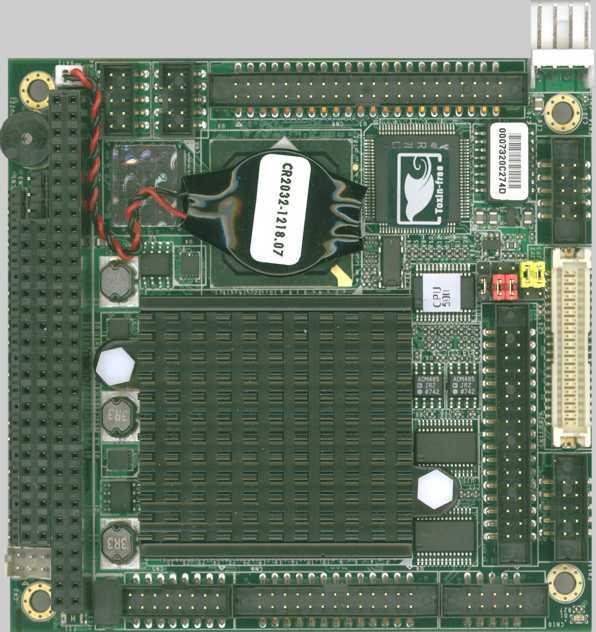 The VSX-6127 utilizes an onboard Vortex86SX Fanless 300MHz processor with Ultra Low Power Consumption and provides PC/104+ bus connectivity. 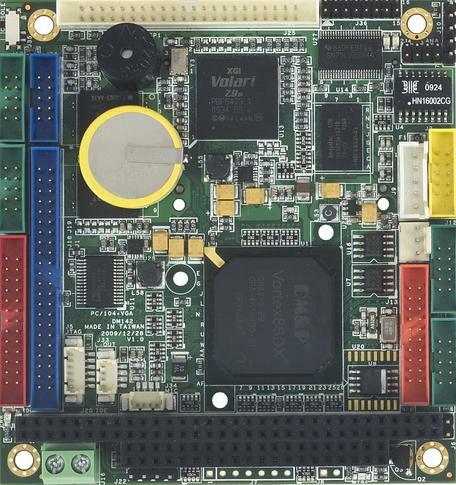 The VSX-6127 has a fully static 32-bit x86 processor and is PC compatible allowing it to run most popular 32-bit Operating Systems such as Windows CE and Linux as well as older Operating Systems such as DOS. The XGI Volari Z9 video chipset features 32 MB onboard video memory supporting Analog VGA monitors and TFT Flat panel LCDs and has a resolution of up to 1280x1024 @ 16M colors. In addition to video, three USB 2.0 ports are provided as well as one Parallel port (SPP/EPP/ECP modes), an UltraDMA – 100/66/3 EIDE port (which supports up to 2 IDE devices) and seven RS-232 and one RS-232/422/485 serial port. The PCM-6127 can run at temperatures of -20 º C (-4º F) to 70º C (158º F). The numerous features provide an ideal price/performance solution for commercial and industrial applications where stability and reliability (no moving parts) are essential.